Learn how to build your own custom size picture frame using the free instructions available at the link. This picture frame is built using mitered corners and wood dowels. If you are not good with mitered corners, here is an easy farmhouse style photo display with no corners. Build it using these free instructions. 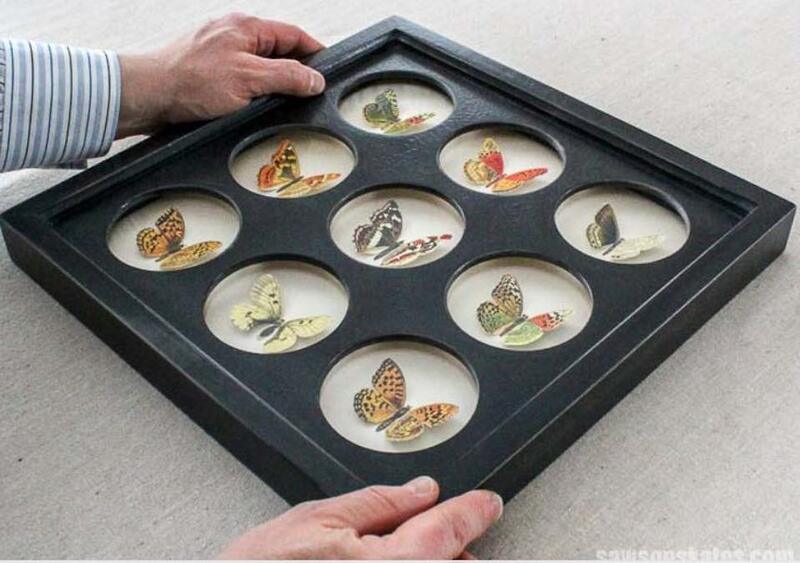 Build a few of these 12 sided picture frames using the information at the link. Build any size picture frame with glass using these free step-by-step instructions. Free Plans fora Rustic Western Picture Frame. Build a rustic picture frame, perfect for a western themed picture, using these free woodworking instructions. Build a large picture frame for engineered prints using this free woodworking tutorial. Free Woodworking Plans for a Spring Flowers Frame – PDF. You will need your scroll saw for this project. You can download the free pattern for this spring flowers picture frame at the link.